Please peruse our gallery below and if you would like to purchase your image(s) please do so via our shop and in the comments which photo(s) you would like. All digital images are £5. The most successful Forces Equine Games to date! Forces Equine Members do it again! ​We are so proud of our members nominating our organisation again for this award from Horse & Hound. Everything crossed for our members that we bring this home this year, it would mean so much to so many! Forces Equine launch "Spotlight Magazine"
​We will be bringing you some league updates shortly. Look out for a re-post on this post for further information. Forces Equine on the International circuit for another year. Elly Wishart becomes a Brand Ambassador for Jump 4 Joy! Mr David Mills with Belleisle Thistledown performing a patriotic Dressage To Music. 2 FE riders myself, Emma-Jo Thorpe and Faye North finished 1st in the 90 & 100 Showcross at Epworth today. Forces Equine are super proud of these ladies achievements and look forward to seeing what the rest of the members have been up to this weekend! Win for Lesley Wheatley in the Elementary DTM qualifier! Forces Equine Brand Ambassadors announced! Forces Equine members flew the flag at Royal Windsor 2018! Forces Equine flying the flag UK wide! 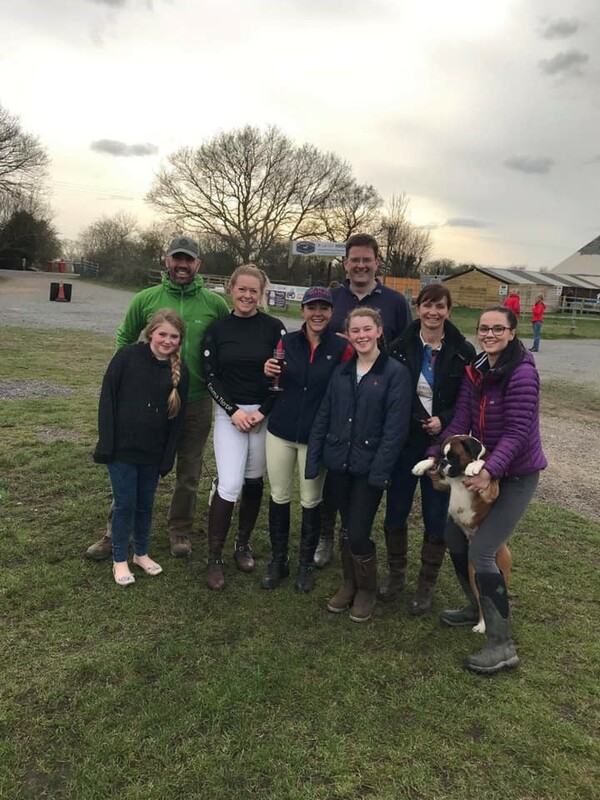 ​Forces Equine was so proud to see Mrs Becks Kershaw's daughter Lillie Phillips in Native Pony Magazine and Becks even gave us a mention - well done ladies and thank you! 2018 FE Brand Ambassadors announced! New leagues launching this month & great Christmas membership offer! ​Forces Equine will shortly be launching the new Vulpes Medium Dressage League and Arena Eventing Leagues. These will both be back dated to the 1st October 2017, so if you have results for these leagues you will be able to submit them shortly. Watch this space! Horse of the week : Noah owned by the "family Field"
​Well done Deb super proud of you. Why join Forces Equine or bring your business to us which will increase brand awareness! Ever wanted to know why joining Forces Equine was such a good move? Maybe you have a business that would like to forge a "Brand Awareness Business Partnership" with us? Take a look at our short video below to learn more or you can take a look at our buisness page here . Bring your business to us which will increase brand awareness! Ever wanted to know why bringing your business to Forces Equine really can increase your brands awareness? Take a look at our short video below to learn more or you can take a look at our buisness page here . Congratulations! To Mrs Julie Skidmore, FE Member for winning the Your Horse Live Tickets for 2017! Trot on Tuesday is out - read all about it now! November News from Forces Equine! The FE'ers 2018 voting is open! Child Protection in Sport Unit Say Thank you! Keep doing what you do parents, as you do a great job! Police Officer shows just how proud she is to be an FE member through knitting! Show Jumping League Results announced! Forces Equine qualify for the British Riding Clubs Combined Training Championships! PC Charlotte Lee of Dorset Police aiming for something big! Win two tickets to dressage extravaganza at the Winter Championships! A massive thank you from Willberry! Fantastic results at British Dressage Forces Equine National Champs and Blue Lights Forces Equine show jumping! Members of Forces Equine attended a mess summer ball in Tidworth on 8th July 2016 with Tidworth Saddle Club. We were honoured to see the images and mess members were very happy to see them there - well done Larissa Andrews and friends! The police make the UK proud in the Czech Republic! Members of Forces Equine return to the Jersey shores to represent the UK Mainland for a second time! Members of Forces Equine return to Hickstead and make 9th place out of 68 teams! Forces Equine members show their support to the combined services by competing at CSEC in 2014. Forces Equine celebrates 5 years! Forces Equine invites some of her members to celebrate 5 years in style in London. Members of Forces Equine represent the UK Mainland in Jersey.